When it comes to the advertising market, Brazil is leading entire Latin America. One of the largest ad markets in the world, the nation has its advertising revenue estimated to reach $12.5 billion U.S. dollars in 2019 – and online advertising is one of the most promising sectors. A big part of the online advertising industry comes from e-commerce businesses from lots of different categories, ranging from retail to electronics to eyewear to automotive accessories. 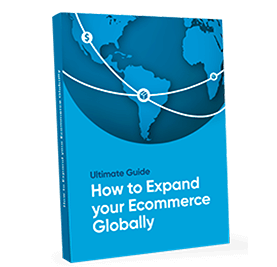 During the past year, the average spending of an online customer in e-commerce businesses around Brazil was more than 82 U.S dollars per person. As expected, the leading cities in Brazil when it comes to online purchases are São Paulo and Rio de Janeiro, the country’s biggest cities, representing more than 35% of all orders online. How is the advertising industry investing their money online in Brazil? Which platforms are companies using to succeed and how are they doing so? That’s what we’re going to talk about in this article. According to the research “Digital AdSpend 2018” conducted by IAB Brasil (Interactive Advertising Bureau), when it comes to digital advertising, the main focus in Brazil are Search, Classified Advertising and Price Comparison, accounting for 44% of the total investments in digital marketing around the country. Right behind comes Display and Social Media, representing 34% of the total digital ad investment, while Video is accounted for 22% of the total investment made by the advertising agencies on the world wide web. If you compare all sorts of digital advertising platforms, Facebook Ads is relatively cheap. It’s easier to target and measure the exact customers you’re looking for, having a low cost per click on specific ads. One of the most important data you should know about Facebook in Brazil is that 90% of Brazilian internet users are there, according to a Forbes article. This means that 127 million users access Facebook every single day in the country. As a business owner, those are not numbers you can simply ignore. The cherry on top of this data is that most of these users are using the social network through their smartphones. When you’re ready to start investing on Facebook Ads for the Brazilian market, take that information carefully and fully optimize your store for mobile as well. Your e-commerce might not even be active on a Facebook Page or interacting on Facebook Groups, but Facebook Ads are a great asset to gain web traffic that might result in sales and stay on a budget. Focus on getting your products in the front of your customer by using your competitor’s audience. Take advantage of retargeting by talking to the audience that visited your website earlier. Or simply find out where your audience goes on Facebook and reach them through the dozens of demographics segmentations you can create using the platform. The audience is already there – you just need to find them. The photo and video-sharing social network loved by many and owned by Facebook is another great tool to drive sales to your business in Brazil. Only in Brazil, Instagram has 35 million accounts, making the country the second-biggest audience on the platform nowadays. This is already a big exclamation mark when it comes to business. In a way or another, your clients are there as well. If you use the right tools to reach them through the platform, the sales will come. You can target your audience the same way as you do when using Facebook Ads, be it location, demographics, behavior, similar audiences and so on. You can even target “Custom Audiences”, who are people that have already connected with your brand on Instagram in a way or another. Another really cool feature when you decide to advertise on Instagram is that you can include links to your website in every single post, adding a button right below the photo or video you’re sharing, making it possible to take users directly to your store or product. This makes it easier for people to engage with your ad and convert. Once again, just like when you invest in Facebook Ads, don’t forget to optimize your store for mobile as well. Right after Facebook and Instagram, the social media sweethearts of Brazil, we have Google with two of its most popular advertising formats. Google Search is a great way to build up your brand online – and lots of e-commerce stores already grew exponentially only by investing in Google Search ads correctly. The biggest goal here is to invest in a network of words based on your brand and your products. You can have multiple SKAG (Single Keyword Ad Group) and add different keywords inside this group, making sure it’s easy to measure and analyze what is working best for your business. Google Search is also quite interesting if you would prefer to work with retargeting, taking people back to your website after they already left it without purchasing anything. On Google, it’s always interesting to focus on keyword clusters that are not absolutely related to your products, but also the problems that your products might solve. This strategy gives you a better margin to play with words and acquire customers based on their needs, not only when they are looking for your products. Over time, you can individually analyze those keyword groups, see what’s converting better and then improve. Since we’re here talking about Google Ads, don’t forget another great asset for e-commerce stores that are investing in digital advertising. Google Display is a marketing strategy focused on engaging users with appealing ad formats. We might be talking about images, HTML5, video or Gmail ads. Display helps you grab the attention of the customer even before they search for one of your keywords. The segmentation is focused on interests, not keywording, so the buying cycle starts way earlier. Just like Google Ads, you can also remind people what they were interested before in your website or app by using retargeting tools on lots of different platforms. How much does it cost to advertise online in Brazil? Even though Brazilians are such savvy internet users and consumers, online advertising in Brazil is still quite affordable when you compare it to other parts of the world. Salesforce.com recently developed The Facebook Ads Benchmark Report with lots of interesting data for business owners to analyze and benchmark their Facebook advertising costs based on industry and country average. We were surprised to see that Brazil is in the top five average CPC by country, running at US$0.08, just like Mexico, as you can see in the chart below. Are you ready to use digital advertising to sell in Brazil? Share your store with us in the comments below! 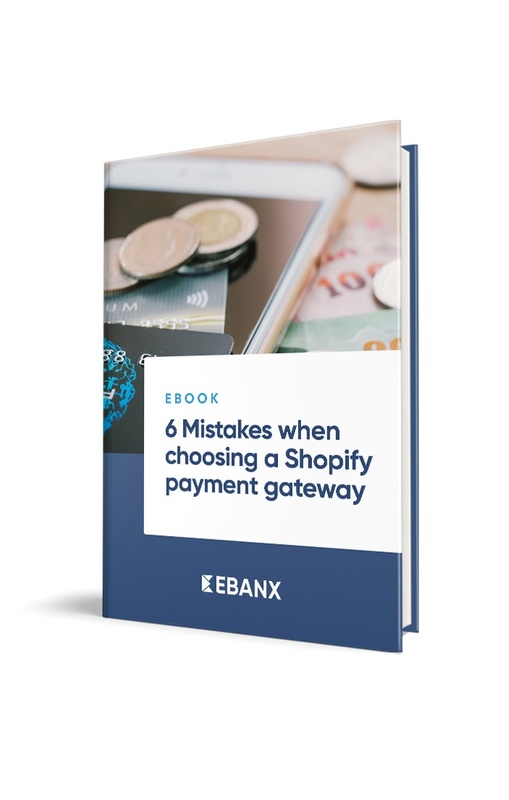 Learn what NOT to do when choosing a payment gateway for your Shopify Store.